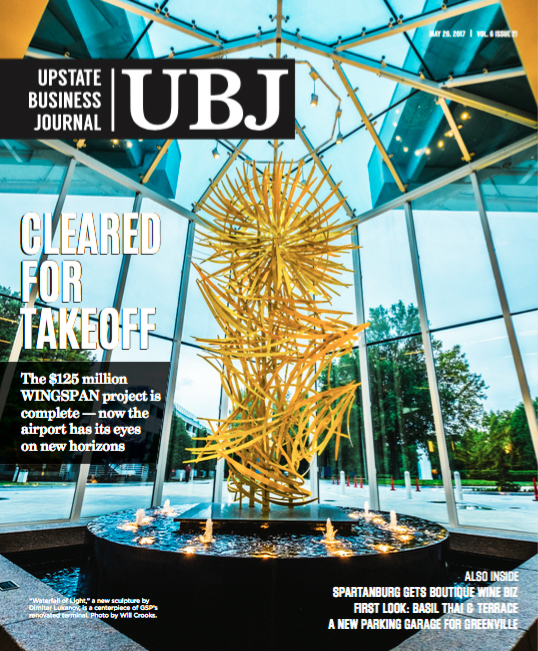 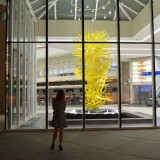 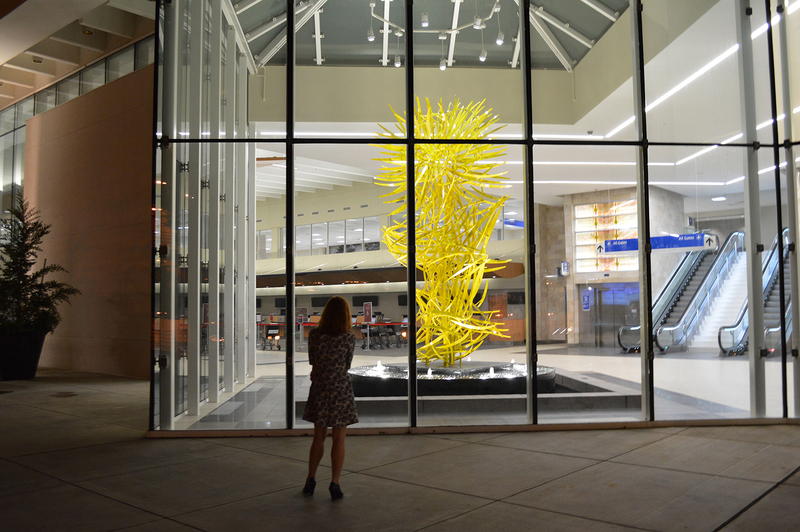 Waterfall of Light, unveiled on May 23, 2017 at the Greenville-Spartanburg International Airport (GSP), is part of the $125 million WINGSPAN renovation of the airport. 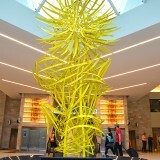 Waterfall of Light‘s design was the winning proposal of a nation-wide competition organized by the airport. 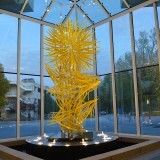 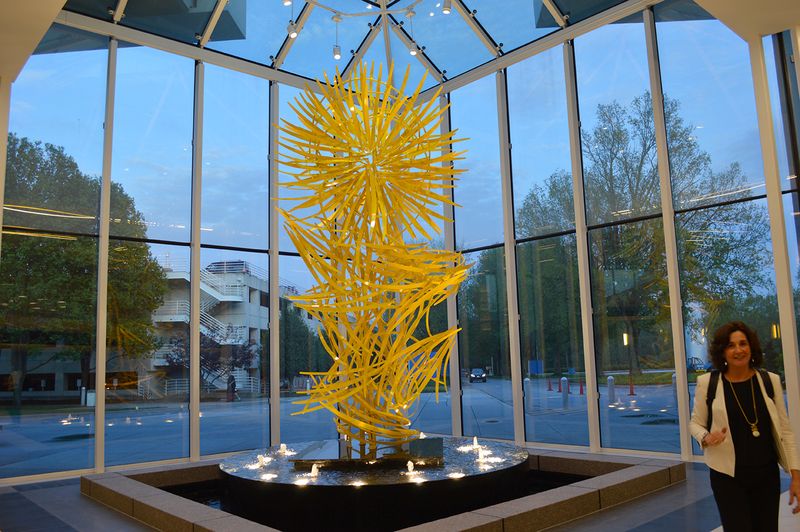 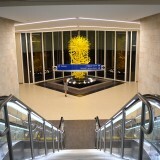 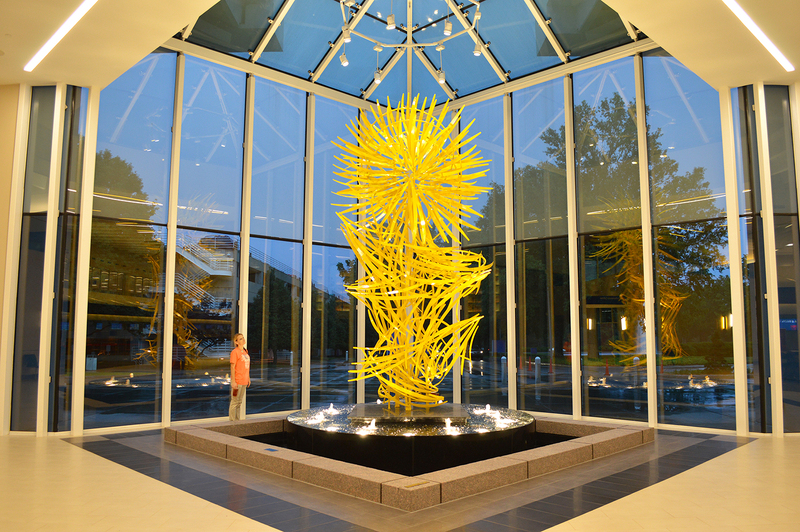 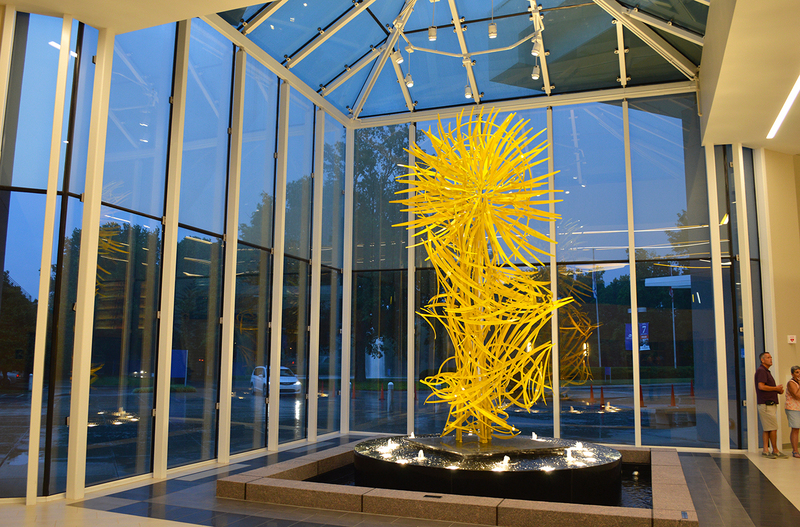 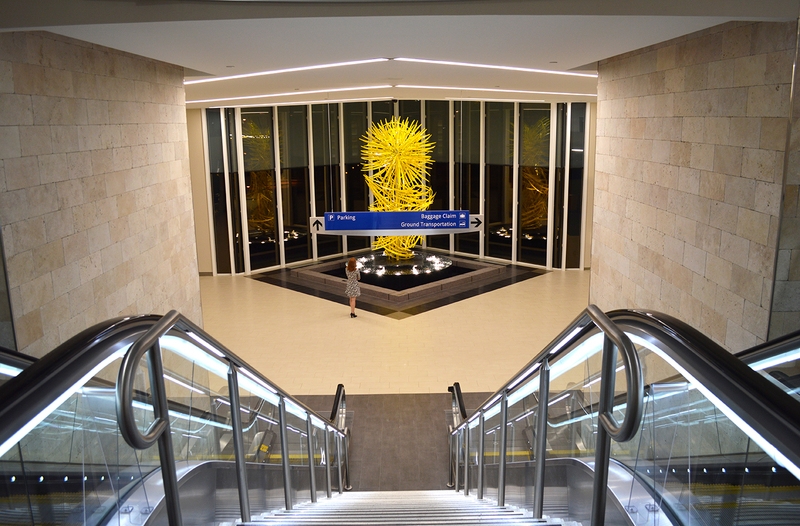 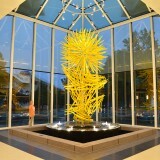 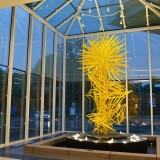 Waterfall of Light is the largest and last of eight other art and design features at GSP that are part of Art Program Phase One. 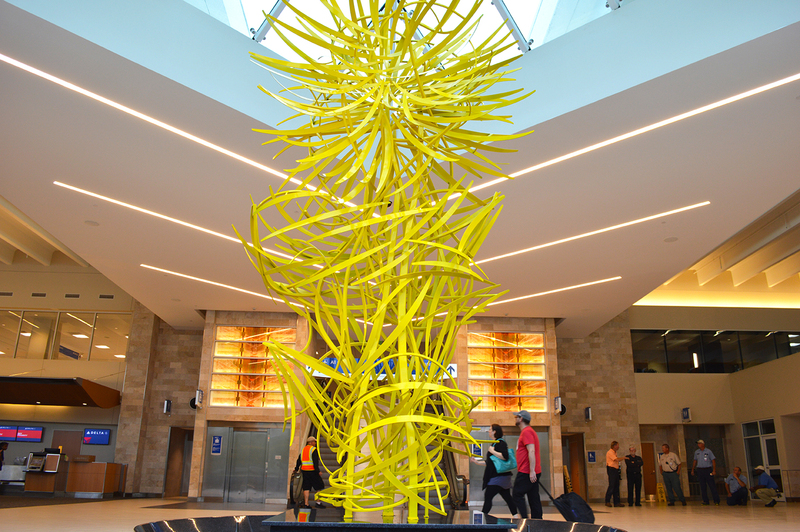 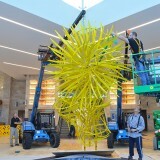 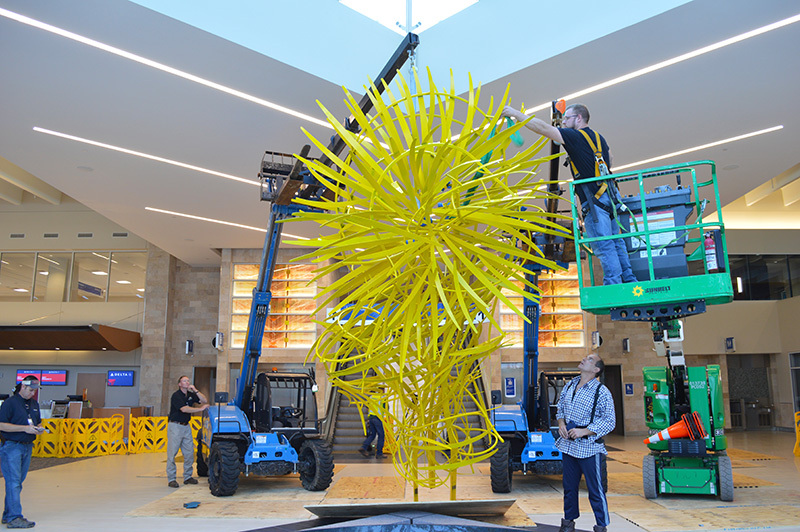 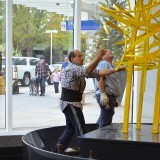 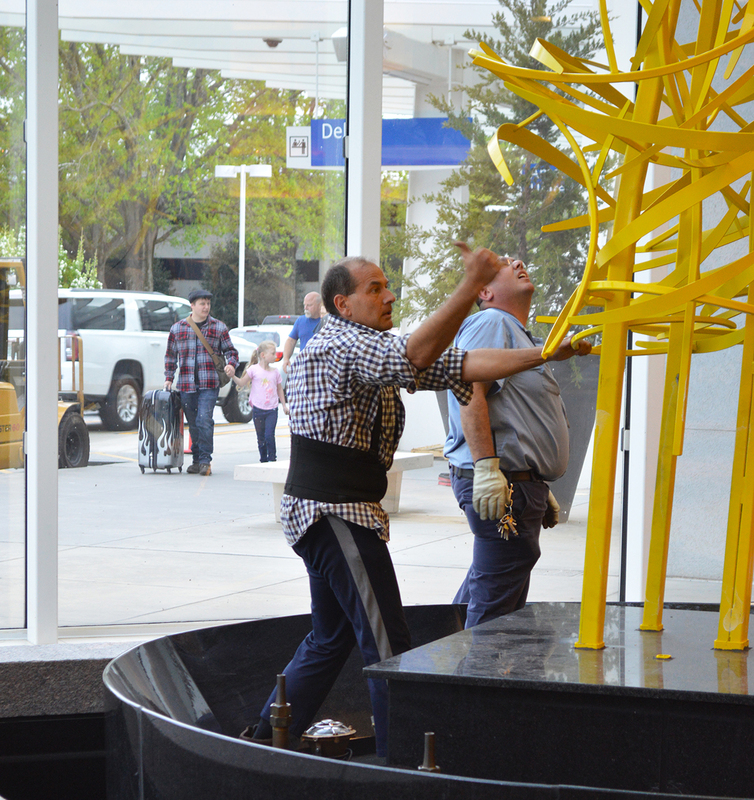 Installed at one of GSP airport’s most prominent locations – North Pyramid Fountain – the sculpture will “live” as a visual crossroad of GSP’s renovated air Terminal; a welcoming beacon and a focal perspective point as if all trajectories of travel converge into one. 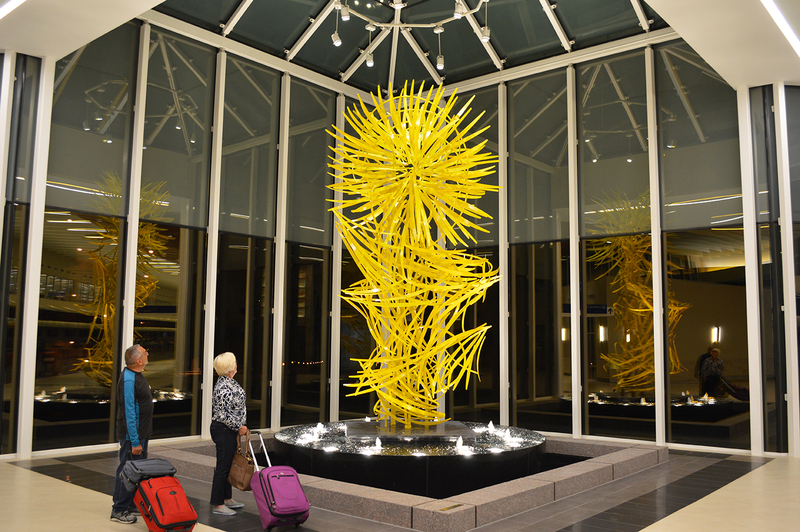 The constant yet never-the-same reflection of the water creates the illusion of Waterfall of Light being always in motion.